Shop and save on bathroom vanity lighting and led bathroom light fixtures at chesterlighting.com. One-stop-shop for all your bathroom lighting fixtures needs. Select from hundreds of new design of modern bathroom vanity lighting fixtures with 2 lights, 3 lights, 4 lights and 5 light versions. Most LED bathroom vanity lights can be installed facing up or down. Most bathroom have the wall outlet right above the vanity mirror area where you can install the fixture with ease. Some models can not be installed either direction. Please check with one of our sales associates before your make your purchase. LED Bathroom vanity light fixtures can be in different length and height for different applications and use. Small fixtures are usually 1 light or 2 light fixtures where you can install on the side of the mirror or above. Medium and large fixtures can be 3 or more light depending on the size. 3 light bath vanity fixtures can be 18” to 24” inch in length and can be fitted with incandescent or LED bulbs. LED bulbs are available in 3000K soft white or 5000K bright white color temperatures. Large bathroom vanity lights can be anywhere from 24” to 36” in depending on the number of lights that it has. These fixtures are available form variety of brands such as Kichler, Crystorama, Hinkley Lighting, Hudson Valley Lighting, Eurofase, ET2 and ELK lighting to name a few. Please visit our showroom for more details and brands. 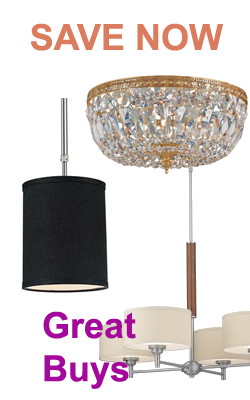 Chester Lighting carries all lighting brands and manufacturers in its showrooms.